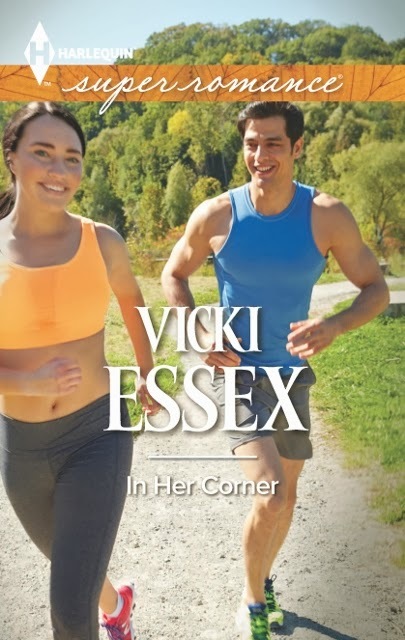 The opening of the month means new Superromance books, and this March includes my second novel to feature mixed martial arts, titled In Her Corner. Bella Fiore has a lot to prove. For three generations her family has dominated the world of mixed martial arts—a tradition Bella dreams of carrying on. Her family, on the other hand, doesn’t agree. Without their support, she’s relying on the coaching of medal-winning Kyle Peters. Training with Kyle is not what Bella expects. They’re constantly butting heads. And with the body of a Greek Adonis, Kyle’s mat technique isn’t her only focus. Not that this attraction can go any further. She has a title to win! Yet when Kyle proves Bella can always rely on him, a championship may not be the only thing worth fighting for…. People ask, why put romance together with mixed martial arts? It can be a bloody, brutal sport, certainly, but the men and women who dedicate themselves to MMA are amazing, fascinating people. Apart from being some of the world’s greatest athletes, many fighters have really interesting back stories about how or why they got into the sport, and I hoped to capture a slice of that in my books. Women’s mixed martial arts is especially exciting for me to follow. WMMA has finally gotten on the radar since the world’s largest MMA promoter, the UFC (Ultimate Fighting Championship), had its first women’s match, and an all-female league, Invicta FC, started last year. The level of strength, skill, commitment, perseverance and sheer grit these ladies have blows my mind. They face regular criticism for entering a realm dominated by men, some of whom still believe women do not belong in the cage. And while the UFC has finally recognized female fighters, there are still so many challenges these women—and all women—face. I got to explore sexism, genderism, misogyny, and the microaggressions women put up with daily when writing In Her Corner, and it helped me understand a lot about my own life, too. I’m giving away one copy of IN HER CORNER to a commenter! Tell me: what are your thoughts about mixed martial arts? Have you or would you watch a fight between women? Why or why not? Draw takes place Friday, March 7! Winner will be announced March 8. Loved the book! I have never watched MMA, but you showed me something new between the pages of this book. A life and passion that your characters brought to my attention. Seeing how much she wanted it and what she had to go through to get it. Wonderful read! I have not seen a MMA fight yet. I might watch it though. I have watched some MMA and I'm not really fond of it. I'm not sure if I could watch women in the cage. I would find it easier to read about. I've watched boxing and wrestling as well and again I'm not a big fan. I would defend a woman's right to do MMA as much as I would defend a woman's right to pilot a plane. I can't believe this news article. A male passenger left a note on a napkin saying that the cockpit of an airline is no place for a woman. I actually don't know anything about martial arts. I kind of assumed that men & women did compete against each other. Not sure I'd want to watch though. Back in the early eighties, my husband and I went to the theatre to watch a Chuck Norris movie. Partway through, I covered my eyes and ears because it was too violent for me. When my husband saw this, he immediately said we should leave. I tried to stay, saying that once we were past this scene I would be fine, but he was adamant that we were leaving. After that, I watched Chuck in the privacy of my own home instead. So ... if I can't handle a simple Chuck Norris movie, I don't think I want to watch this too. I have watched some martial arts but I do not know much about it but would love to learn more about it. I got into WMMA in 2013 when i saw fast and furious 6. Gina Carano was in it. She is a terrible actress and had a forgettable part, but i went home and wikipediaed her, and then saw she used to be a fighter, and then i YouTubed her fights, and within a month was hooked on the sport. I've gotten on twitter and have had many cool interactions with some well known names. If you have a copy of the book, tell me or how i can get it! I got into WMMA in 2013 and the level of determination those girls attain and sustain is mind-blowing. I got on twitter a few months ago and have had some awesome personal interactions with many of the big names in the sport. MMA finds its history in ancient sports like pankration and wrestling and more recent sports like boxing, muay thai, karate, jiu-jitsu, Taekwondo, sombo, and judo. In 1993,I’ve been a fan of MMA since the early days of the sport. I also was a big fan of Pride Fighting during its run.